After somewhat missing the boat on mobile computing, Intel is slowly and steadily forging its way in the wearable market, trying to stay at the forefront of this new field. Over the past year or so, it has acquired Basis, formed a partnership with eyewear giant Luxxotica (Ray-Ban, Oakley, etc), announced a collaboration with Google and Tag Heuer for an Android Wear watch, and unveiled a button-sized chip for wearables named the Curie Module. It has now taken another step forward in its venture by acquiring Recon Instruments. Recon is a Canadian company better known for its much-delayed but quite interesting Jet, a head-mounted unit that runs a heavily modded version of Android Jelly Bean and targets the sports and fitness crowd with preloaded apps and functionality. 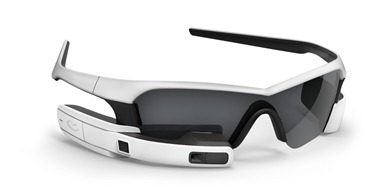 With Google Glass halfway out of the picture, the Recon Jet has been one of the most noteworthy alternatives in the smart eyewear market, and it appears to have attracted the attention of Intel, which first invested in the firm and now grabbed it for itself. The deal's details aren't known, but both companies seem excited about the future possibilities that it opens up. Recon will keep its 75 employees, its brand, and its retail channels, but it will have access to Intel's broad resources both in terms of hardware expertise and developer/ecosystem relations. Recon's CEO Dan Eisenhardt acknowledged the potential of this deal, stating that, "this acquisition has placed Recon in a uniquely advantageous position." And Intel's Josh Walden joined him by specifying that the Recon team "will also partner with Intel’s New Devices Group to develop smart device platforms for a broader set of customers and market segments."